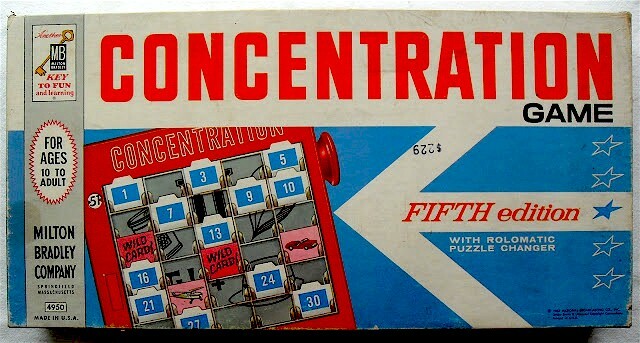 We played Concentration with a deck of cards. Dealt the entire deck out, face down, in an 8 x 6 grid (plus one row of 4, of course). Players took turns flipping two cards. If they matched, they went in that player's pile and he/she could turn over two more cards; if not, they were returned, face down, to their original position and that player's turn was over. Great memory exercise! I was very good at this. Still play our 2nd edition ... I like how they left blank space at the end of the puzzle roll so you could create your own puzzles.